Saudi Arabia claims its oil price policy of taking investment away from US shale producers and other foreign competitors is succeeding. The OPEC kingpin continues pumping near record volumes to win market share in the global oil ‘battle’. The kingdom has increased crude output by 13,700 barrels per day (bpd) in April to 10.308 million reporting its highest oil production in more than three decades. “There is no doubt about it, the price fall of the last several months has deterred investors away from expensive oil including US shale, deep offshore and heavy oils,” the Financial Times cited a Saudi official as saying in Riyadh. The official also added that he expected the country to maintain its dominance of global energy, despite the growth of alternatives to fossil fuels and competition from rival oil producers within OPEC and beyond. The Saudi official said the price of oil had“reached a bottom,”and it didn’t look like it was going back.The price for Brent futureshita five-month high last weekat above $68 a barrel, marking some recovery from the 50 percent loss over the past year. On Wednesday, the International Energy Agency (IEA) admitted that US shale production had "buckled" in April, "bringing a multiyear winning streak to an apparent close.”The IEA also said there was no sign that OPEC intended to curb its output in the near-term, and that early indicators suggested the cartel would sustain rates at around 31 million bpd during May. Kuwait and the United Arab Emirates have all also raised their rig count and expanded their drilling programs. 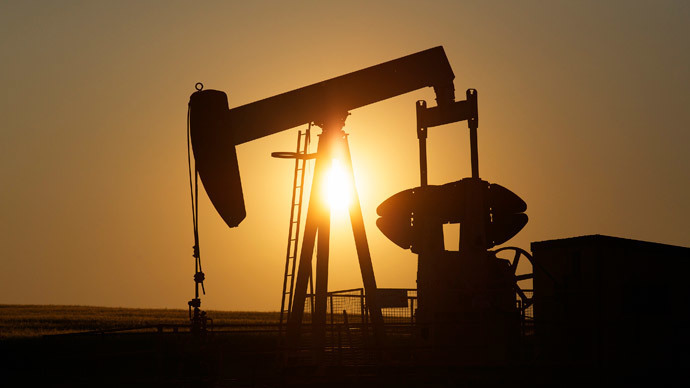 The organization added that it was too early to say OPEC was poised to win the battle for market share, as rebounding oil prices give US producers a new hope for better results. The agency cited strong performance of non-OPEC countries including Russia, Brazil, China, Vietnam and Malaysia. The Organization of the Petroleum Exporting Countries agreed in November not to cut production despite the collapsing prices. Oil prices dropped by about 50 percent in the last six months of 2014 but have rallied strongly to around $65 per barrel since the beginning of 2015.